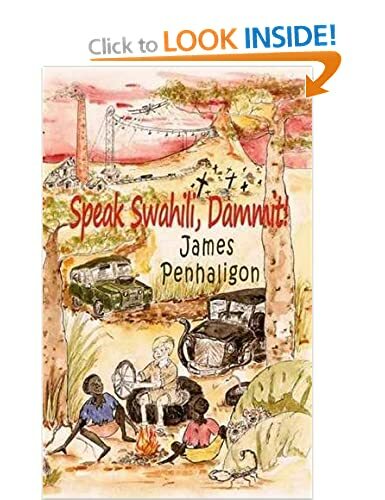 I’m serving up James Penhaligon on my blog today, author of rumbustious romp, Speak Swahili Dammit, a Bestseller which tells of the good old days when kids ran wild in Africa. I feel we are kindred spirits – both of us having been raised in East Africa. But although Amazon bracket them together as “also boughts” our books could not be more different. You can read my review of Speak Swahili Dammit HERE. (And James has reviewed mine HERE). Jimu – you come across as a larger-than-life person, and you have a proactive approach to marketing your book. I understand you had an agent at one time. How did you find him/her? What made you decide to go it alone in the end? Tell us about the times you have returned to Tanganykia / Tanzania. Have you kept up with your old friends there? And do you wish you were back living there? We went back in to Tanzania in October 2010, when we also visited Kenya. It was my first visit since we left in 1966. I had to go to Malindi in Kenya to find my old friends. Particularly, I met my first love, the girl of my dreams from when I was about 8 until we left East Africa, for the first time in over 44 years…. You became a consultant psychiatrist after you left Africa. What made you chose this career? I was so saddened by death & nasty things happening to people, that I decided to specialise in psychiatry after 10 years as a GP. Too late, I discovered that there is as much unhappiness and tragedy in psychiatry as there is in general medicine, surgery and even the field of morbid pathology. I hope and trust I did my best to help my patients over the years. If Speak Swahili Dammit were to be made into a film, who would you have playing yourself? And the other prominent characters in the book? I wouldn’t act in it. Too old and ugly! There are wonderful actors in Tanzania & Kenya, old & young, male & female. I have met some in the past. Also, the mSwahili take to acting, as a group, like ducks to water. Entertainment comes naturally to them, and they have wonderful dramatic awareness. European parts would be filled by mainly British, but possibly also Indian, Italian & German actors. What part of the whole writing / editing / publishing / marketing process did you enjoy the most? – Like the least? Best was recalling & reliving my East African past, & making basic notes. The worst was editing & re-writing huge parts, over & over! Marketing is also horrible (I don’t fancy being a merchant, & hate the whole need to make something pay) but there’s nobody else to do it, & I want people to read my story. 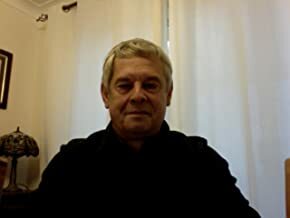 Without sales, there’s no money for printing, etc….So, distasteful though it may be, I press on, in the hope that folk will understand that, unlike those with big companies/money behind them, the only resource I have is me. Tell us about your other publications. And are you planning another book? I have co-authored a children’s book with an ex-Kenya expatriate. It is only on Kindle at present. It’s called ‘Kalulu And The Magic bees’. I am busy with the sequel to ‘Speak Swahili, Dammit!’, which I think I’ll call ‘A Swahili Mzungu Let Loose’. Where do you like to spend your holidays, and what books would you take?What are your criteria for a good read? Happy and funny bits. Entertaining, but not too predictable. Fact rather than fiction. Not preaching or lecturing. Illuminating & educational. What do you most prefer doing? Being with my wife, and the children when they come around (or when we visit them). Writing, boating, swimming. Visiting East Africa. Swimming in the Indian Ocean. Reading. Playing with my mad Boxer dog, Mufasa. James Penhaligon is a medical doctor and consultant psychiatrist in the United Kingdom. Born to Cornish parents, and raised deep in the bush in Tanganyika, later to emerge as Tanzania, he remains a fluent Swahili speaker, and has never been able to escape his early influences, or the gaze it gave him on life. Despite having left Africa, and carving himself a successful career, James has always had a fascinating East African story waiting to be told, and now he has written it. James lives with his wife and a rebellious Boxer dog in a house overlooking the sea in Falmouth, Cornwall. They often travel to East Africa. This entry was posted in Authors and tagged East Africa, Kenya, South Africa, Swahili language, Tanzania. Bookmark the permalink.